This casserole is not only pretty much the only casserole in my repertoire (sorry, Midwestern friends), but it is literally the sole reason I buy cream of chicken soup. I found it online many years ago, before food blogging was really a thing, on the blog of a nice lady named ‘Bunny’. My affection for it may thus also have some deep-seated relationship with my affection for this book. 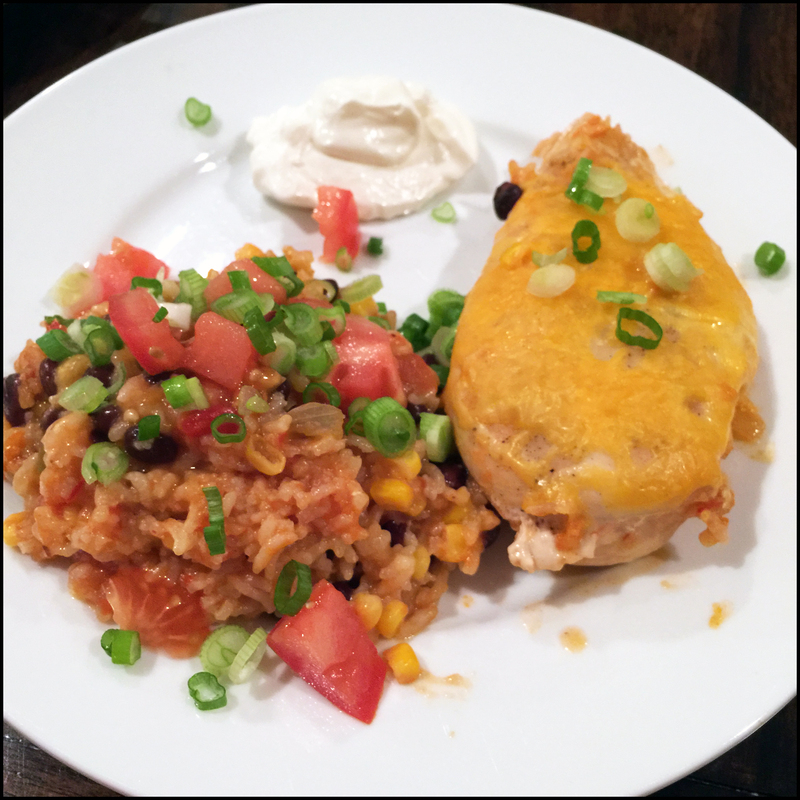 We eat this pretty frequently; it’s a good way to use boneless, skinless chicken breasts and it expands easily – there’s always plenty of rice and you can just toss another couple of breasts on top. At the monthly Maryland Romance Writers meeting a couple of weeks ago, the featured speaker was our own Mindy Klasky, delightful author of some of the first light paranormal romances I ever read, which still have a fond place in my heart, plus overachieving publisher of no fewer than NINE novels last year in her sports-themed Diamond Brides series. Nobody better to talk to us about how to effectively plan, both strategically and tactically, a writing career and a book launch. Even before we had children, I grocery shopped a lot. I like to cook, and we have people over a lot – brunches, football, game nights, you name it. Now that we have two little bottomless pits eating everything we can put in front of them, I’m on a first-name basis with the cashier. Okay, I won’t lie, I was on a first-name basis with the cashier before. I like to talk to people. It drives my husband insane. When you do a lot of grocery shopping, you learn the virtue of an organized list. (Also when you make a lot of lists. Shout out to my fellow Virgos.) Separating your grocery list by department is something I’ve shouted from the rooftops for years. It makes it SO much easier to make sure that you’re getting everything you need in one efficient run through the store. There are a lot of resources out there for moms who breastfeed. There are even a lot of tips for moms who breastfeed at home and then pump at work. But for those of us who have to exclusively pump, even if we’re home all the time, there’s not so much advice. Some, yes – and I definitely benefitted from those who had gone before me. I spent a lot of time in those dark early days frantically researching on the internet to see if it was really a real thing I could do, feeding my babies solely on breastmilk but not direct from the source. It is a real thing. People do it. It’s incredibly hard, but it’s worthwhile. Even if you can’t produce enough milk for every single drop they drink, even if you’re supplementing, any breastmilk is great for babies, particularly in the first three months. Here’s what I learned in four months of exclusively pumping for my twins. Obviously, this is all just the things that worked for me, and you shouldn’t take it as anything but anecdotal evidence from somebody who writes stuff on the internet. When I was pregnant, my biggest project (aside from, you know, growing a couple of humans inside of me) was to fill our freezer with prepared foods and easy meals for after the babies were born. It’s something that everyone with a spare freezer should do, really, pregnant or not. You never know when there’s going to be a day or two or five when you just… don’t want to deal with cooking. This was my absolute favorite of the meals that I made during that frenetic cooking spree, and I still make it to stock the freezer. 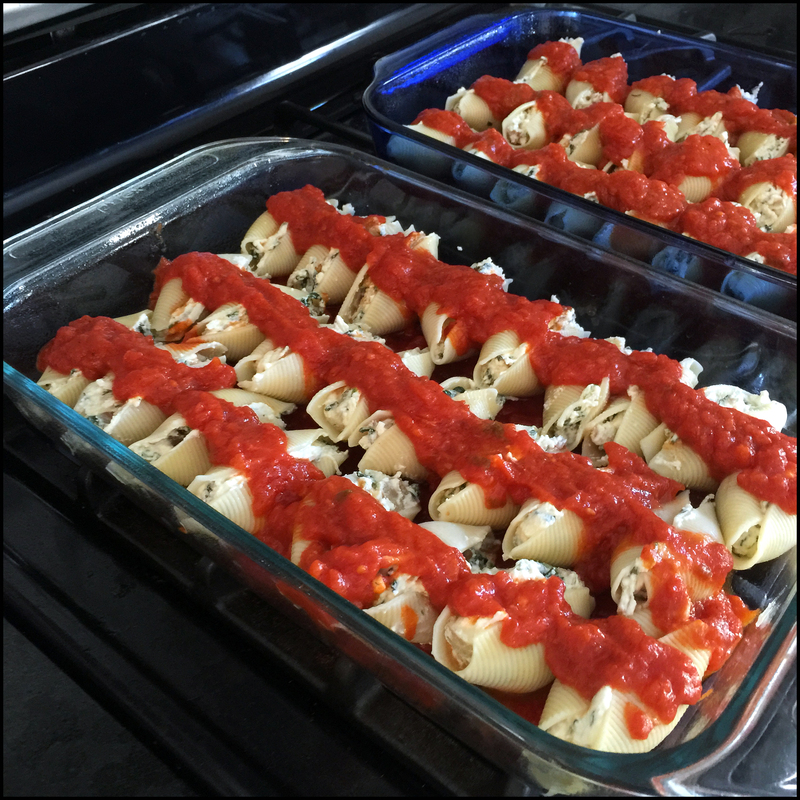 My recipe basically makes a big double batch – for me, it’s two 9×13 pans, so we eat one and freeze one. When it was just the two of us, I made it in three or four square pans, so the leftovers didn’t last forever. I buy packs of foil baking pans in various sizes when they’re on sale and keep them tucked up in a pantry cupboard. I assemble freezer meals in them, cover them with foil, and stick them in the freezer. You can even just write the cooking instructions directly on the foil with a permanent marker! It’s the time of year when a lot of people are working on resolutions, and keeping them or failing to do so. I didn’t set a New Years’ resolution, per se, but decided to work on my own goals after the bustle of the holidays was over. Specifically, my writing goals. My nebulous ‘be a writer’ goal got a little more focused late last year, when an organization I’m happy to be a member of – the Romance Writers of America – changed their membership rules to specify that members need to prove serious intent. No more lollygagging! There’s plenty of time, of course – but it is time to get serious and see if I can really finish something. My problem has never been ability (she said humbly), but lack of focus. For a long time, I would have a hard time writing because I often felt that I should be working – this was a particular problem when I telecommuted, because when you work at home it’s very hard to separate things. When I decided to stay at home with the babies, one of the things I committed to doing was writing more. RWA’s change has given me a deadline, something I apparently need. So how do I make myself write? 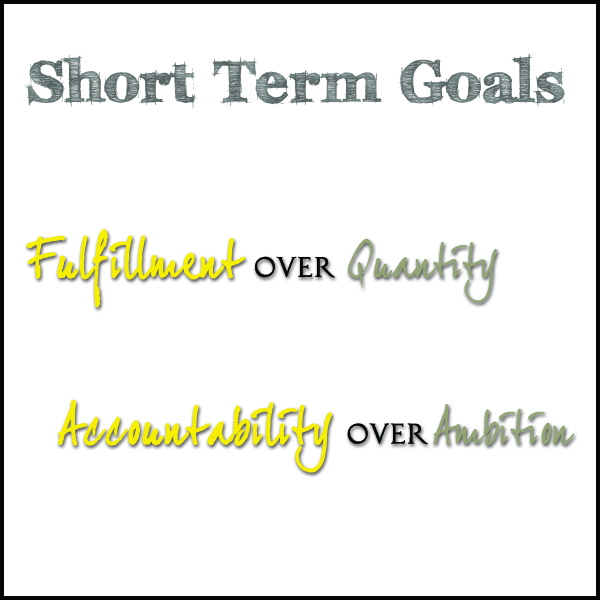 What I’ve decided to do is set short-term goals. Rather than say ‘I want to finish a book’ by a certain date – or even ‘I want to finish a chapter’ – I’m saying ‘I will write.’ Specifically, I will write at least five hundred words a day, three days a week. Fifteen hundred words a week is practically minuscule – I frequently write more in a blog post, because I’m a wordy m-fer. But it’s the commitment that’s important. It’s adding the task to my to-do list; if I don’t get words in today, because babies or grocery or chaos or whatever, it moves forward to tomorrow and it gets done. Three days out of seven is a doable, achievable thing – and that’s my focus. I’m not giving myself huge goals – those are in the long term. I’m not even worried about finishing. I’m just trying to build a habit. Rather than setting big, exciting dream-building goals, I’m setting goals I can actually meet. Once I have a strong writing habit, I can dip my foot into more specific, bigger goals – finish Chapter 11! Finish the book! Edit the book! But no ambitious daydreams are going to force me to sit in my chair and write; only daily accountability is. So I bought myself a planner – something I needed anyway. I have one that is both weekly and monthly. On the weekly pages, I write my regular daily to-do list: things like ‘baby bath time’ and ‘go to Costco’. There’s a space for my meal plan (let’s talk about that another blog post, shall we? ), and at the very bottom of every day, I write ‘Words:’. And then I jot down my word count after I’ve written. On the monthly pages, I’ve pre-written my goals: 1500 words a week, 6000 words by the end of every month. Every Sunday, I add up my words from the week’s writing and note it on the monthly page above the goal. It’s very satisfying. Eventually, I’ll be able to use the same system for fancier writing goals and deadlines – edit chapter four! Submit proofs! Release day! Plot sequel! (Think big!) All on the monthly page, with all my day-to-day still on the weekly. I might someday graduate to a fancier planner, but I think the system will stick. So far, it’s going well, despite the chaos that is life with babies and family and everything else. I’m pretty pleased with the system – and even if I fail one week, the goals are so achievable (and so simple) that I’m not falling so far behind that I just give up. I’m a little late in posting this, but I wanted to wait until life had returned to normal after the holidays. Because let’s be honest, there just wasn’t any routine in our lives over the holiday break, no matter how much we tried to stick to the schedule. But it’s over now, and we’re back on track and feeling a lot more sane, thank goodness. The schedule at ten months is pretty similar to the one I posted at eight months; we haven’t dropped any feedings or naps yet. It’s looking like we will wait until they are a year old to make any big changes – we had discussed dropping a feeding, but at a recent visit, our pediatrician recommended that we keep it, as our boy is still very small for his age and needs the nutrition he gets from breastmilk.